Agriculture Minister Alexander Tkachev said that Russia is planning to substitute imports of soybeans from the United States with deliveries from the Latin American countries as the US produce does not meet Russian food safety standards. 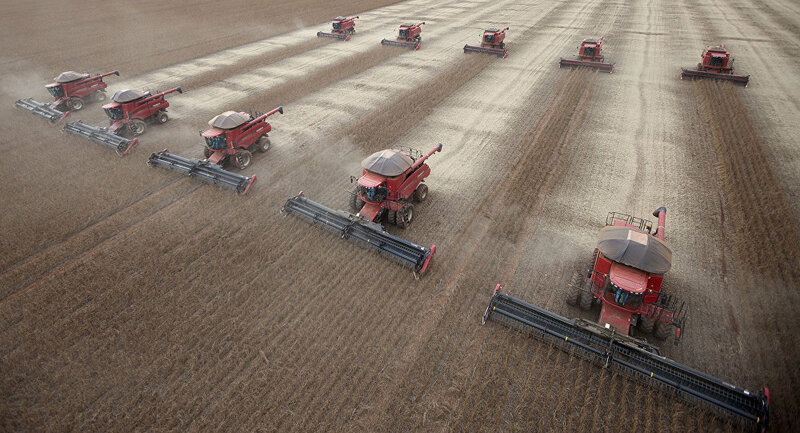 MOSCOW (Sputnik) – Russia is planning to substitute imports of soybeans from the United States with deliveries from the Latin American countries as the US produce does not meet Russian food safety standards, Agriculture Minister Alexander Tkachev said Wednesday. "We will import soybeans from Latin America," Tkachev said in an interview with Rossiya 24 television. Russia's agriculture watchdog, Rosselkhoznadzor, earlier said it would impose, starting February 15, a temporary ban on imports of corn and soybeans from the United States, citing bacterial contamination in recent shipments of corn and soybeans from the US.